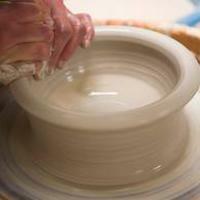 Pottery and ceramics studio facility open to potters of all ages and abilities. Pather Artworks is open to all members of the community. The facility caters for all levels and abilities, with fun and informal pottery and ceramics classes being held throughout the week, for both children and adults. Classes include Crafty Kids, Beginners and Intermediate Pottery, with drop in sessions and special events being held throughout the year. The North Lanarkshire Pottery Range is produced at Pather Artworks. Click here to view the classes on offer. Pather Artworks is accessible by public transport and a bus stop can be found 30 yards from the venue. It is advised that timetable directions be sought before travelling. For patrons who are travelling to the venue by car there are approximately 40 parking spaces available. There is disabled access to the venue and disabled toilets available. For further information (or if you have any questions), please use the “Contact Us” box that appears on the right-hand side of your screen.